The star of Patriots Day is not Mark Wahlberg in his police sergeant outfit, and it is not Kevin Bacon as a FBI agent. Instead it is the city of Boston, which shows in this cinematic portrayal of the 2013 Boston Marathon Bombing and the manhunt for the terrorists that followed. The city is everywhere in this film and nearly all of its characters have a line that celebrates it. 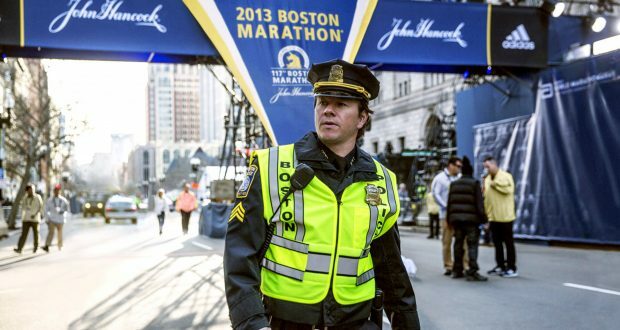 Wahlberg does too, when his character points out that Boston will unite to locate the terrorists. It’s this constant rhetoric of Boston which really lets down the film. It grows boring but never stops and we’re left feeling like we should be impressed with a city unified against danger, but director Peter Berg simply fails to show this unity except for a few, brief instances. The film is filled with suspense, but sadly the efforts are wasted, as anyone who was alive four years ago will know what happens in the end. It’s easy to see that Berg was trying to emulate Peter Greenway’s United 93, the plane from 9/11 which saw its passengers hijacked by terrorists’ attempts to take control of the plane. But Berg fails to rival United 93 because he doesn’t focus on the bravery of the characters and also fails to paint them as real people, as their only emotional moments are brief exclamations or hugs with loved ones, backed up with little emotional dialogue or talented acting. 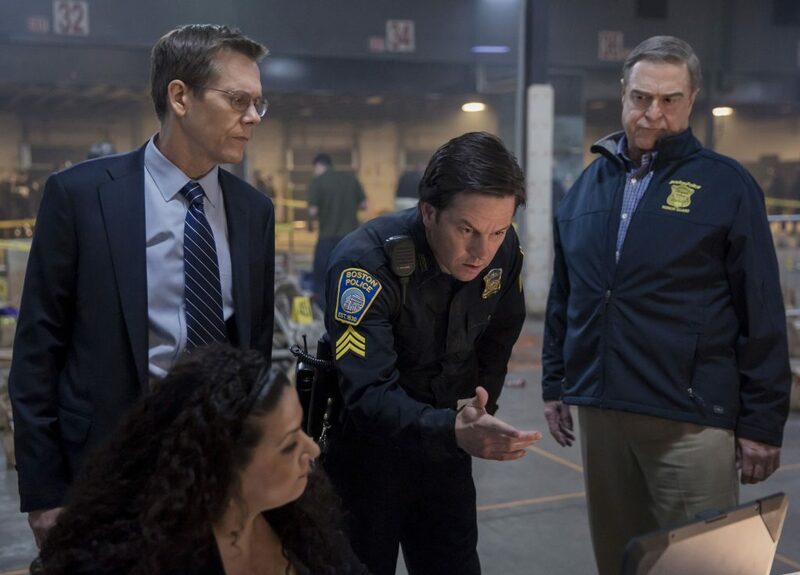 While United 93 is all about the ordeal that the passengers went through, Patriots Day is all about how the police managed to hunt down two terrorists and dish out justice. Berg’s attempts at emotionally pandering to the audience is also reminiscent of United 93, but unlike the 9/11 film Patriots Day’s attempts at making the viewer feel for the characters comes across as weak. If Berg had simply tried to tell the story without involving any big-name actors, this film could have been good. Instead he chose the money route and included stars like Wahlberg, Bacon, John Goodman and J.K. Simmons, which meant their characters never came across as believable. If Berg had just stolen that aspect of United 93 I think he could have made a good film, but instead he created a shallow one with a hollow core.